Soso Rangqu (born Sonwabise Rungqu on 24 May 1983) is a South African actress, singer, dancer and voice artist. 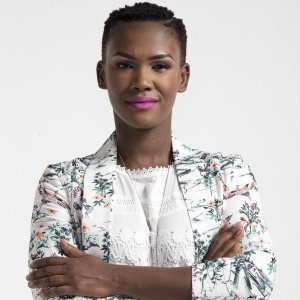 She is best known for her role as Morongwa Kau on the SABC 3 soap opera, Isidingo. Her lesser known roles include voicing the character Smartycat on the e.tv animated kids' show Cool Catz. Soso Rangqu has also appeared on 7de Laan, Igazi and the SABC 1 drama series, Tjovitjo alongside Warren Masemola, Lali Dangazele, Tony Kgoroge and Rapulana Seiphemo.